When you have a product as innovative as Modbar, you end up with some really fun and interesting customer use cases (have you seen the Modbar racetrack??). 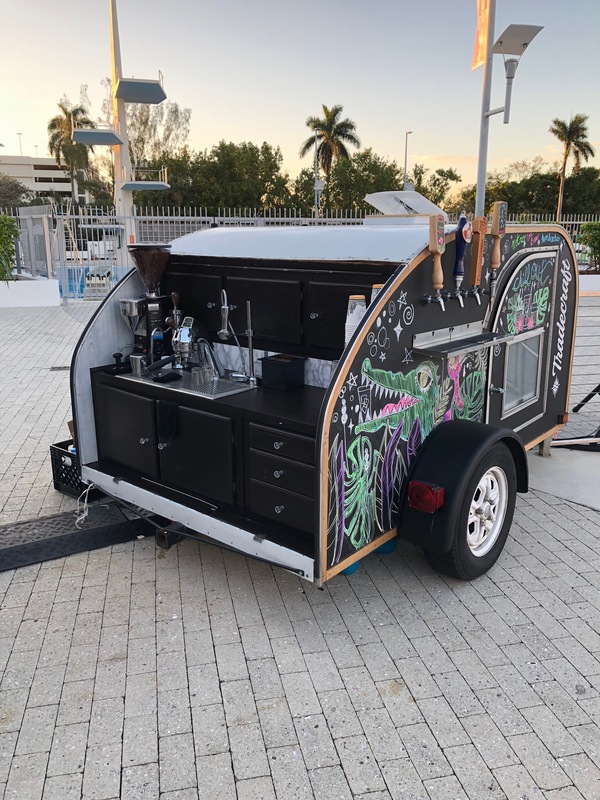 One such use case recently caught our attention – the Tradecraft Outfitters mobile coffee trailer. 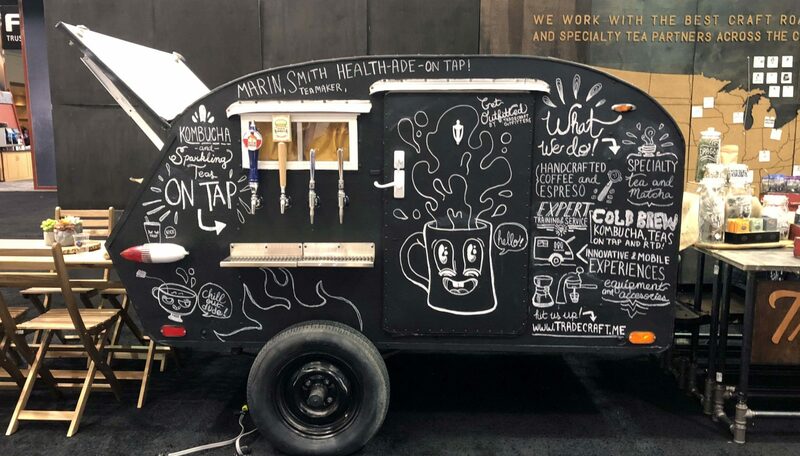 We reached out to their team to learn more about the mobile coffee trailer, and dug into the logistics behind how they turned idea into reality. 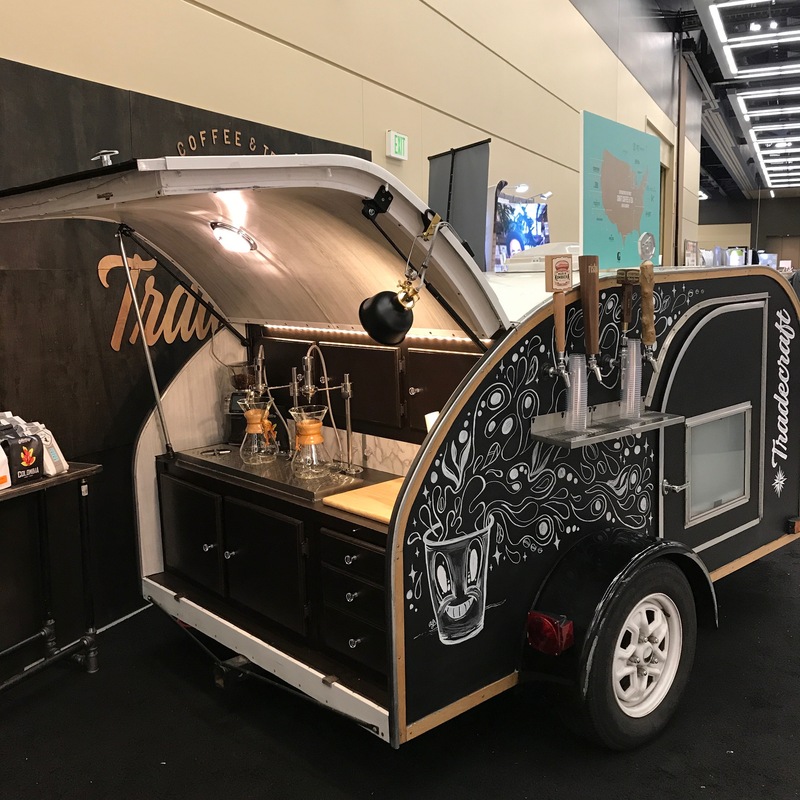 The first edition of our trailer was originally created for the 2017 Specialty Coffee Association Expo, and we’ve mainly used it for tradeshows and events since then. We wanted to create something that we could use to serve multiple functions during events and also stand out in a crowd. Initially, the back end housed two Modbar Pour-Over systems and a countertop drain tray and pitcher rinser. The side of the trailer housed 4 draft taps. After the success at the first couple of shows we went back to the drawing board, reviewing what worked, what didn’t and how we could make it more versatile to highlight more of what we do. We learned SO many lessons from that first cart. The most up to date version of the trailer still holds the Modbar on the back (with a few improvements), but now gives us space to tap 8 different kegged products total. Take two features a full Modbar espresso setup with a single pour over, an inset drip tray and barista accessible modules. 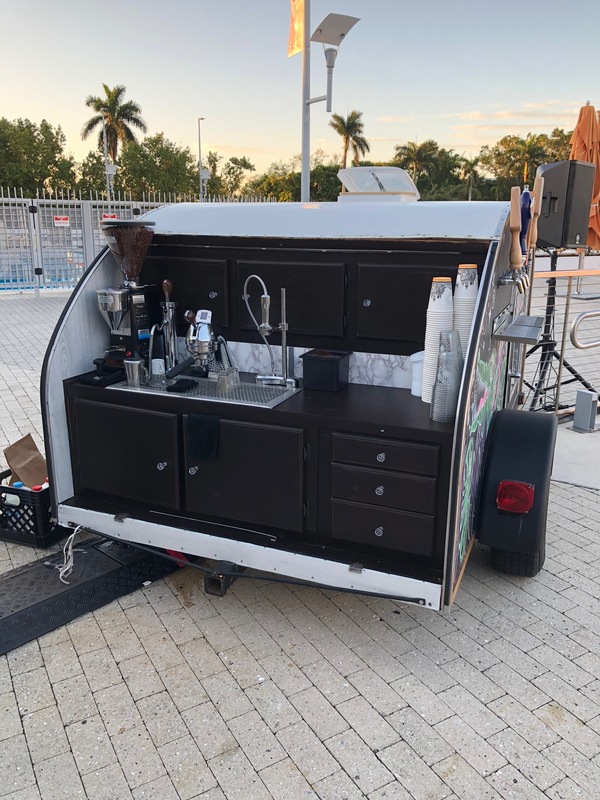 This worked really great for us at our last event in Miami and now we are locking down the final design elements to commit to for the foreseeable future. We also have a trailer that’s located in LA that we just started working on and will hopefully be ready to show the world soon. Exciting things to come! 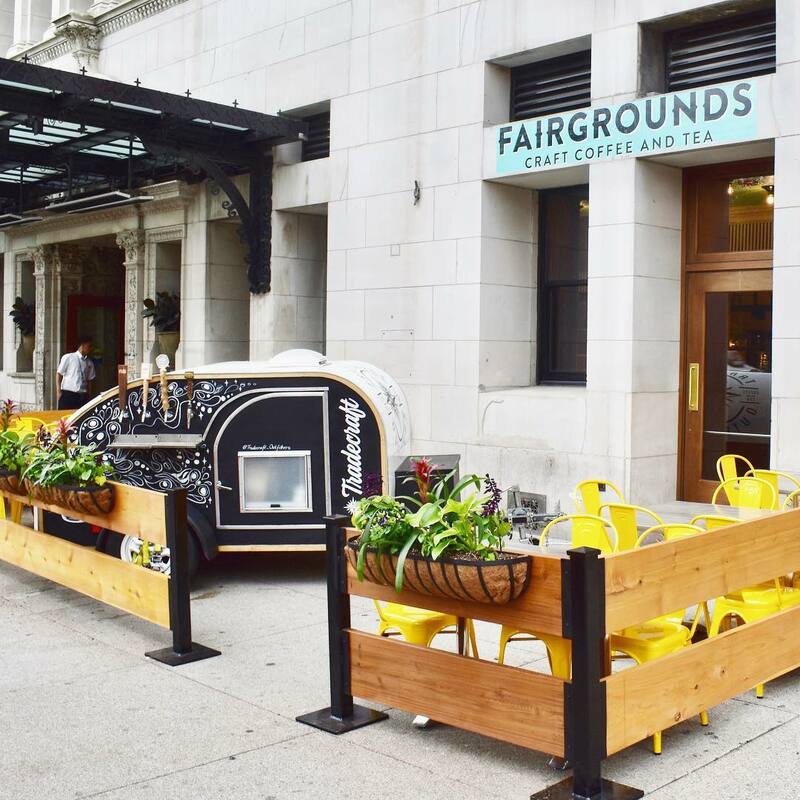 How can I make my own coffee cart? What are the technical requirements, permits, etc.? Permits: We have not needed to address this as of yet — our trailers are registered as vehicles and we use for sampling purposes only. All components in the water system and that touch food products are NSF rated so that we could have the possibility of doing public events in the future. If we were to use this in a public facing environment, it would need to be registered and inspected in the same way that any food truck would. Water: The water system on board was designed and built in house. It allows for 30 gallons of storage to guarantee a full days use without the need for a refill. Given the water supply requirements for the Modbar units to function properly and consistently, we have had to develop a system that meets these requirements (while remaining economical and easily repairable in the field). Ok, but who draws your dragons for you? Our Creative Director and badass illustrator Anna Lisa Schneider does all of our graphics! She’s also on Instagram, in case you want to check out some of her other work.